How do we react to the overwhelming number of emails sent today? Sometimes with contempt. Often we think our friend cannot type or does not know how to write a sensible text message. And too often, we get angry. But we need to make allowances and have empathy. Just because we are good on computers or have a smart phone, that does not obligate our friends to buy one. Respect is a two-way street, full of potholes, with many ways of stepping on other people’s pride. Communication is not quid pro quo; we are not all the same. Consider how effective businesses operate: They strive to keep all forms of communication open and not be contemptuous of their customers. They adapt themselves to each customer’s need. We should be more like these businesses. We need to think: This friend is an email friend, this other friend prefers Facebook, and yet another friend likes text messages, but my grandmother only responds to telephone calls. And if we have respect for our very old friends living in nursing homes, we need understand that we need to get our butts over there to visit them before they die. We should avoid regret that could last the rest of our lives. Ignoring our friends could be considered a contemptuous act, and if and when we ever need their help – not just want, but truly need them – they will give back what we gave them. It is a truth that we make many friendly deals in life, and sometimes we receive less than what we gave, but we always get more than what we need. Here is an idea: Ask yourself today, how many people in your life will loan you $100? And try to not to lie; we do not need to lie to our best friend, ourselves. We need to be cautious in life with friends, family and partners and in business relationships. The number of enemies we make grows daily. Often, we believe a person to be our friend, but in reality he or she sabotages our every move. Why? They do this because we accidentally stepped on their pride. It was not a big act: We did not reply to the one email they sent in two years because we were too busy, we thought. 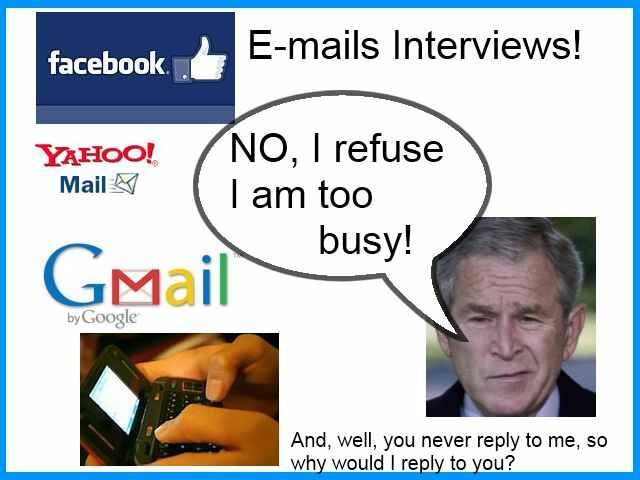 Ignoring a friend’s email can be considered an act of contempt. Ignore three emails, and the person is quite sure we just do not care or respect them. Personally, we need to have a 3-5 email limit. After you write three personal emails to a friend, we need to assume that Facebook is their new best friend and write them on Facebook. Just laugh it off to new technology! Or ignore your ego and just call them – what the heck! We should do our best and go the extra mile in life to keep a friend. As world travelers, we need to think, ah, this person does even speak one word of English, his or her French is weak, and the only thing this small child understands is the local language, Kabye. We can put a big smile on our face when dealing with small children, and we can smile when we reply to emails. We are on the other side of the world. A person made a bid to be our friend; this is a good thing, not a bad thing. When a person takes the time to write a warm and personal “How are you?” email, it is how best friends are made … or lost. I first viewed the Internet in 1991 in Antigua Guatemala in the small Hotel where I was resident guide/driver, webpages were pages not 'sites' and e mail server was Racsa co.cr in Costa Rica, often took several minutes to send one e mail. I despise 'techies' who 'tech talk' to me and especially those locals who try to sell me their services, so many locals and ex pats alike have been cheated by them and they charge far more than many USA outfits for domain names and web design and set up, I did have one fellow here in El Salvador in 1999 who made us a great bi lingual site out of source code and we ftp ed to the server in US at Cyber Cafes, far fewer here than 5 years ago as many now have Smartphones, Blackberries and Laptops at home or work, CLARO, TIGO, DIGICEL, etc. My sister in US has e mail at work but I prefer to call her at home on Magic Jack, when my Mother was alive always called, as she never sent an e mail in her life, also have a friend in US my age who never used Internet, so I call him know him since 1963, went to school with his Cousins. My best friend in Guatemala who I know since 1971 is a tour operator and some days we e mail back and forth 5 times a day, short messages, I use Facebook for my Central American Travel information group and weird have 2100 FB friends of whom I only know about 50 well in person, online or both. Once in a while I share posts that reflect my views, am not a bleeding heart, lived too long in Central America for that, now some of the new resident ex pats do not disagree with me they TELL me I CANNOT post this or that, so started to flame then deleted and used FB's easy 'Block' system where I cannot 'see' him nor he me ever on FB unless I deblock, disagree with me, call me an idiot, but do not mess with my 1st Amendment Rights, once in a while a local will get upset, usually a misunderstanding and I do not post on local politics but my group is open to all opinions from far left to right. My best friend here is far left, but we joke more in private about some sad affairs than talk politics, the locals also send out photos of beautiful girls, only a few gringos do that and yes can walk around with a 30 year old female without some Anglo Puritanical dimwit chirping 'is that your daughter'?????? My Uncle, who died down here in the 1990s working as agronomist told me stay away from floating gringos offering 'deals', Gringos, most are brought up to 'sell' now it seems they all want to work for NGO s do not blame them salaries are high for this part of world, the development set in El Salvador meets every month Internations.org but also a lot of nice people attend, I tell stories of Central America from the 1970s on up, no black and white, figure it out. So E mail has the delete button and a long walk is far better than flaming an e mail. Those of you on Facebook interested in any aspect of Central America view my open bi lingual open English Spanish group url www.facebook.com/groups/discovercentralamerica , when a site only available in Spanish it goes up in original form despise machine translators, ok good night, je suis fatigue, estoy cansado, I am tired. Tropical Guide, that was fun, like reading about history of the Internet in Central America.